It's been a bit of a quiet week only venturing out to work, smart shoe shopping for Mark's new job and for the weekly supermarket dash. Taking it easy has been very welcome in this warm weather and I've been outside in our tiny garden with a book and an ice lolly whenever I've had the chance. Just what summer is for, right? Wild mint and mandarin is now unquestionably my favourite NEOM scent & it definitely contributes to having a great day! 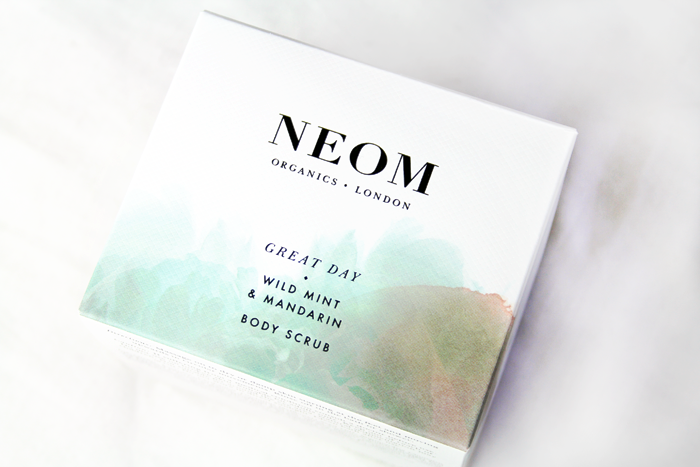 My favourite thing about NEOM scrubs is the beautiful oil they leave on the skin although all traces of oiliness can certainly be entirely rinsed away. I've really been enjoying leaving a trace of the oil on my skin because my legs in particular have been incredibly dry and itchy. After only very recently incorporating this scrub into my weekly routine I can already see & feel a difference. Expensive? Ohh absolutely! But they haven't been stingy with the g you get for your £ and I have a feeling a tub will last a really good amount of time. 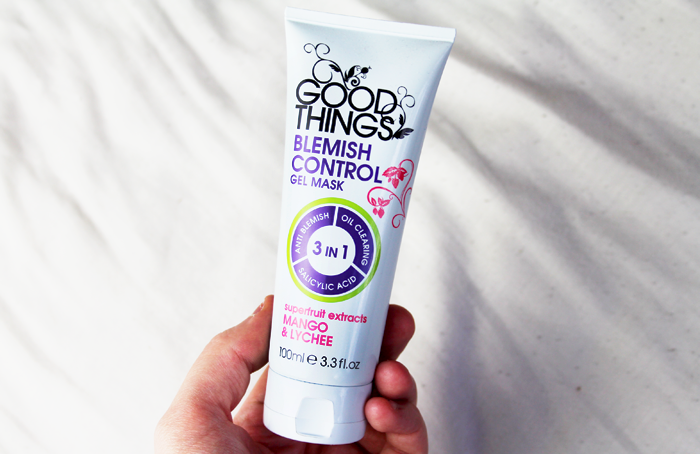 I'm not convinced this does very much in terms of helping to control blemishes but it's one of those masks that I just really enjoy using. Often clay masks are too drying, sheet masks never seem to fit my face properly and sometimes I'm just not in the mood to slather my face with something that feels too heavy. This has a light gel formulation that doesn't slip off or run into my eyes. It has almost a menthol/eucalyptus feel to it and I can confirm that it's incredibly refreshing to use when suffering from a particularly nasty cold. Perhaps not one for very sensitive skin though, I've heard a few reviews saying it stings as soon as it's applied, which doesn't sound very nice at all! Okay it's official, my eyes have been opened to the wonder that is facial oils. They're not all heavy, ridiculously greasy or uncomfortably sticky. Some, like this one, are formulated beautifully so as to somehow not feel too oily. Four drops before I go to sleep is enough to keep dry patches at bay whilst not aggravating or causing any unwanted blemishes. I'm working on simplifying my skincare routine and this beautiful, beautiful oil will definitely be one of the most important components of my night time routine. 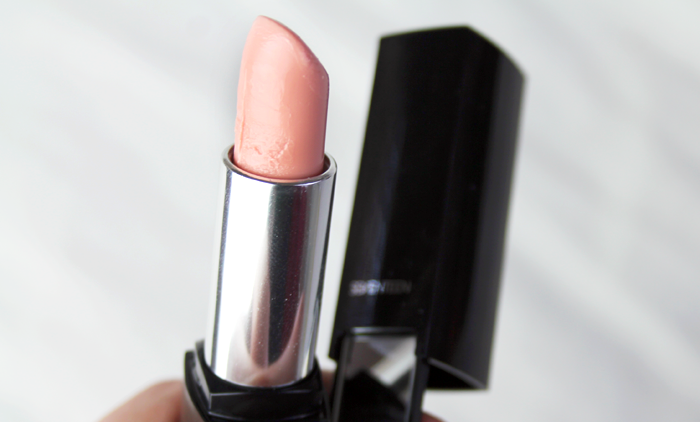 Sometimes I like to buy a lipstick if I need an instant pick-me-up sort of treat. This lipstick was the result of one of those afternoons. I like the mirror shine formula and there was something about this colour that called out to me. Almost scary pale in the tube, it's one of those colours that gives just a hint of something to the lips without ever looking too strong. It's nothing spectacular but for something I bought on a whim that gave me some change from a five pound note, I'm pretty pleased. Oh goodness, between this wonderful novel and the marvelous beat generation poetry of Allen Ginsberg I can already tell I've chosen the most incredible final course for my degree. Utterly captivating from the first to the last page, which was a real treat because honestly I wasn't expecting to like it very much. It's so much more than it appears to be and I do love subversive messages hidden within narratives. Is there anything you've particularly been enjoying this week? Rebecca is a fantastic novel - and the Hitchcock film based on it is absolutely iconic! The Good Things mask sounds fab, too! Rebecca is a book in my re-read pile. I've read it before when I was a lot younger and a friend mentioned to me that it was her favourite book. I realise that I must not have taken a lot from it reading it so young, so I can't wait to give it another go! 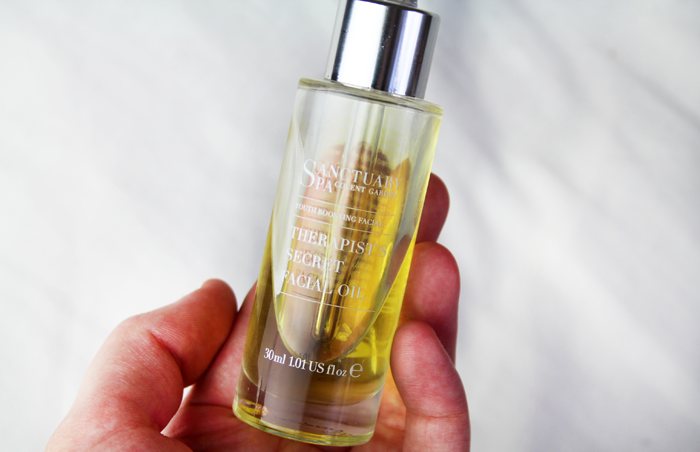 The Sanctuary Facial Oil is AMAZING. It really is so good. I'm glad you are enjoying Rebecca - it's one of my favourites. 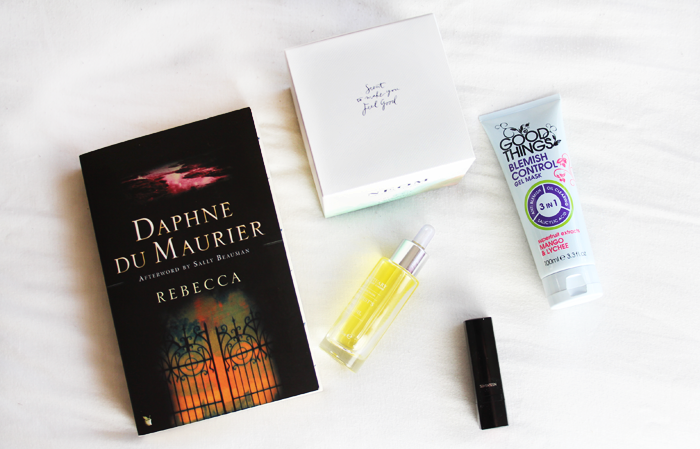 Your blog has always been one of my favourites, but lately I've been enjoying it even more! Most of all, I love your book posts! We have a very similar taste in books, sometimes I coincidentally read the same books as you (happenend with The Snow Child and Love Letters To The Dead), and more often than that I add your recommendations to my To Be Read List, which I'm afraid I'll never be able to catch up on..
My grandma lent me Rebecca when I was about 14 years old and I found it as fascinating as you did. I also love the Hitchcock movie version. Did you see it? If not, I totally recommend watching it. Anyway, now I have the urge to reread the books, maybe in English this time. I love the smell of Good Things products and I currently use the cleanser and it smells so good! I nearly bought Rebecca the other day, and now I really regret leaving it! I recently read a modernisation of Rebecca, set in a US boarding school - I was really surprised at how well it translated to 'teen-speak'! Definitely want to read the original version now, thanks for helping me make up my mind! Rebecca is my number one favorite book - so eerie and dark. 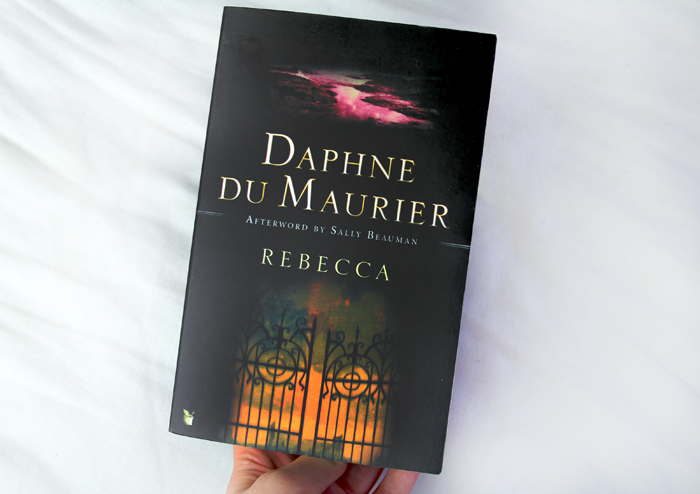 I'd highly recommend an of her other books too, Daphne du Maurier had such a way with words. I was a voracious reader even early on. In the seventh grade I was so bored in our slow-as-snails reading class that the teacher slipped me Rebecca and let me read it under my desk during class. She was pretty mean, so this is the one good thing she did--and it was a very good thing. I fell in love with the book and have returned to it several times as one of those novels that never quite leaves my mind. I LOVE Rebecca, I read it ages ago but it's one of those novels that stays with you! Really fascinating. I was named after Rebecca, it's one of my mum's favourite books! I think I need to rediscover my love for facial oils! I will def pick up this one next time I'm in boots! crossbody | what's in my bag? Two Inspirational Ladies | Sharing The Love. Love Me Beauty | July 2014 Edition. Capsule Collection: Parting with some products.